Figments Studio is a creative business offering a line of high-quality, vintage-inspired journals and stationery. Owner Jill Crvich has designed products which combine her long-standing interest in antiques, historical imagery and architecture, fairy tales and journal writing (she began at age 10). Since its official launch in January 2015, Figments Studio products can be found in some of the most prestigious museum gift stores and historical homes in the country. Jill hopes her collection adds a sense of wonder and history to people’s lives and kindles their figments of imagination. www.FigmentsStudio.com. 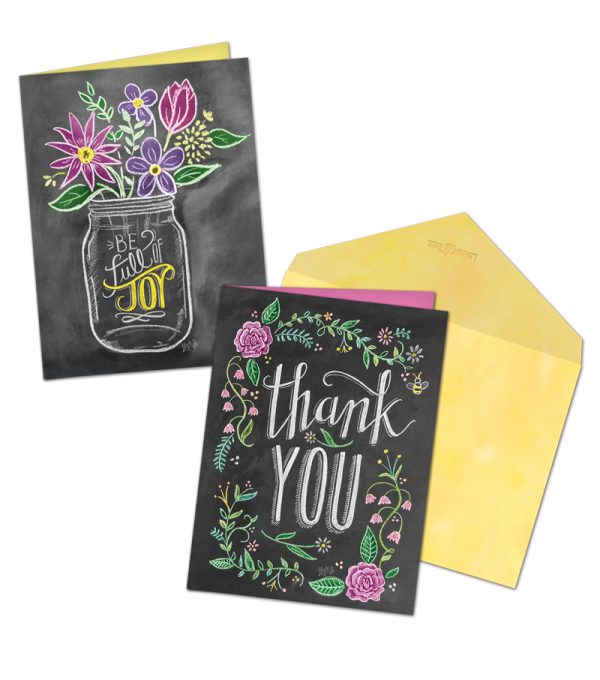 Each card in Leanin’ Tree’s new Lily & Val Card Collection is illustrated by hand on a chalkboard surface to capture the personal nature of the ever-growing popular craft form. All Leanin’ Tree cards are printed on recycled paper, featuring soy ink, and printed in the United States. 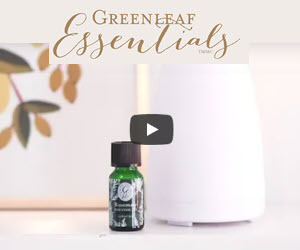 (www.TradeLeaninTree.com). 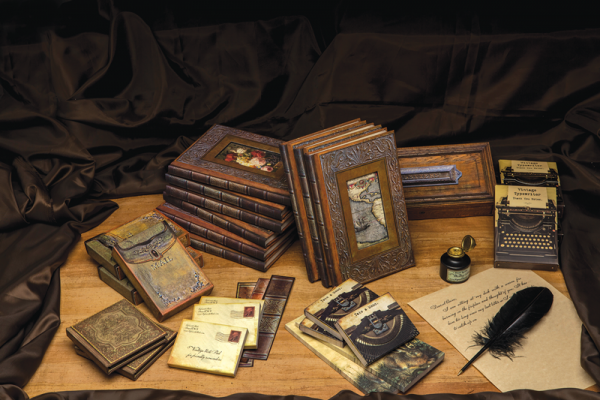 Author Sarah Young also finds gratification by touching the lives of many through her bound paper inspirations. 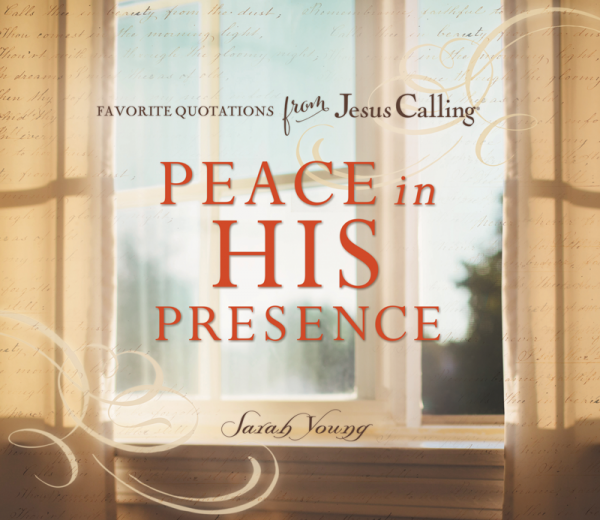 Her first book, Jesus Calling, was released in 2004, and she recently published her latest book, Peace in His Presence, filled with beloved and encouraging quotes and selections from the original devotional, Jesus Calling: Peace in His Presence. The words of reassurance and comfort, combined with beautiful photos and design, will leave readers with a sense of purpose and meaning. “Peace in His Presence is a wonderful companion piece for fans of Jesus Calling, and it also serves as a beautiful introduction for new readers as they personally experience God’s love,” says Laura Minchew, senior VP and publisher of Gift Books, Children’s Books & New Media at Thomas Nelson (www.thomasnelson.com 615-902-1456). 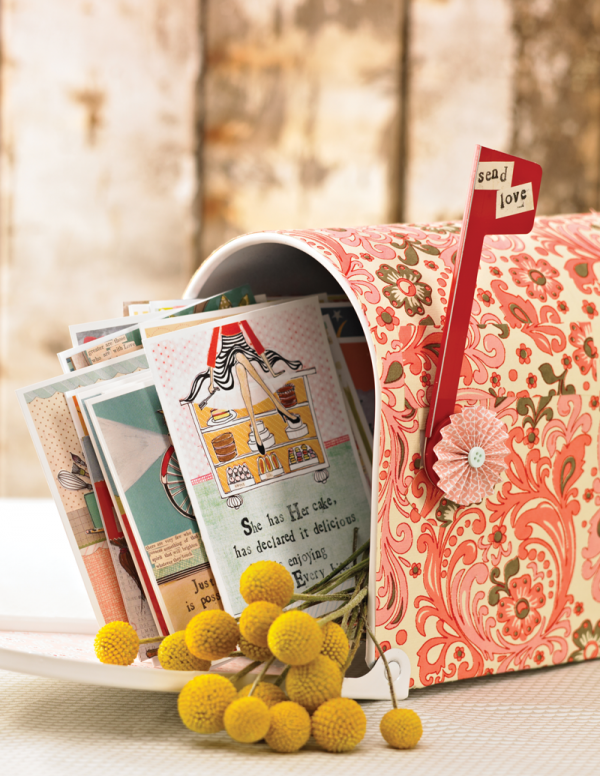 Cheryl Rennels, creator of the Bless Your Heart® collection, is compelled to bring meaning into the commonplace and the everyday with her heartfelt stationery, stickers, journals, and more. The custom-designed line “is the simple reminder of the power of this expression of kindness. Simply bless and open your heart to those around you,” Rennels says. Whether gleaning inspiration from the “Blesson©” spiritual book, marking a page in your current read with a Bless Your Heart® or Bless for the Cure® bookmark, or jotting yourself a reminder on a Bless Your Heart® sticky note, this company proves that you can insert the inspirational into the everyday with its simple, yet beautiful, blessings collection (www.weblessyourheart.com). Leigh Standley is the artist, writer, and owner of Curly Girl Design, Inc. 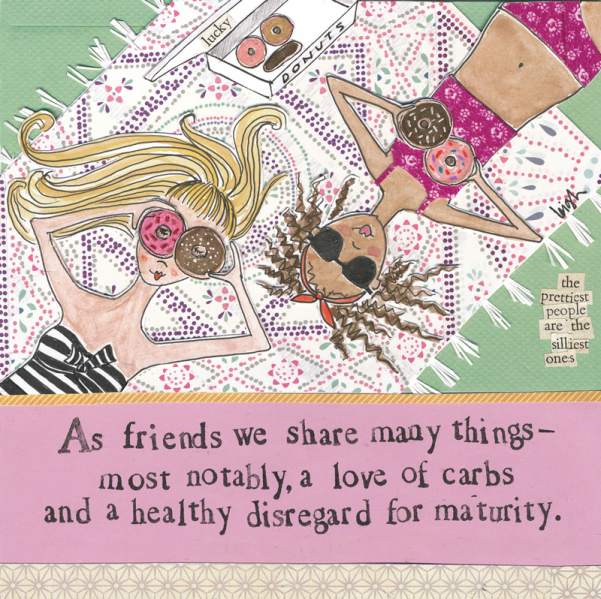 In its more than 10 years, Curly Girl Design and Leigh’s line of clever and colorful greeting cards and art have taken the industry by delightful storm. Focused on the magic of the small moments, her product peeks into the corners of life and taps into the hearts of all. Founded in 2003, the company began with just 12 greeting cards and has grown steadily to include all types of gifts, stationery, and home decór. In a digital age, customers can strengthen their most important relationships through old-fashioned mail. In this modern world populated by digital interruptions, stationery, cards, and gift books have become scarcer, yet more meaningful and heartfelt compared to their impermanent and less evocative digital counterparts. And the designers of these paper goods are aware of the meaning their creations can lend to important moments in time. If anything, specialty paper and book design is more colorful, more creative, more tactile, and more poignant than ever—serving in stark contrast to our pixel-flooded realities. Contemporary card designers tend to leverage white space juxtaposed with intricate fonts. They also showcase short and punchy phrases and simplistic color palettes. For instance, card and stationery designers favor using several hues from the same color, rather than a handful of different colors. Large photos and illustrations and even custom screen-printing have also taken center stage. As if in response to the digital age, some card designers have returned to crafting one-of-a-kind handmade pieces, with a quality and uniqueness that a printing press just can’t compete with. And an eco-friendly approach to the production of paper products has continued to gain steam. Custom sizes are also trending in the card market and are used to set an already distinctive card further apart from the standard greeting card size that reigned in popularity for so many years. Along with the evolution of paper products, luxe pens have continued to trend up, taking the personalized aspect of a handwritten note or card to the next level. From high-end handmade pens made on lathes, to calligraphy pens featuring modern, neon hues, there are limitless options on the market to lend that final touch to beautiful cards, stationery, and envelopes. Creative and soulful stationery, cards, and accessories invite our customers to take a break from the stream of digital interactions that now define their lives—the hurried texts and emails, the thoughtless Facebook status updates. There is something personal and heartfelt about a hand-written note, gracing a tactile and beautiful card or piece of paper. So encourage your customers to put down the mobile device and pick up a pen to celebrate a meaningful moment with a meaningful someone, who will no doubt appreciate the time they took to communicate in a more personal way.